Hello & welcome to the January, Stampin’ Dreams Blog Hop. The theme for this month’s Stampin’ Dreams Blog Hop is Love, which immediately makes me think of events like Valentines Day, Wedding’s, & Anniversary’s. Given that Valentine’s Day is not too far away I thought I’d get ahead & create a cute, yet quirky card for my lovely husband….. I hope you enjoy it. The inspiration for this card came from a song I was listening too about a week ago. It’s a classic 80’s power ballad, & I have to admit that my nine year old self found it terribly romantic. The lyrics evoked thoughts of dragon’s, princesses, castles & being rescued…. by a Knight in Shining armour…Awwww. (The song is The Glory of Love by Peter Cetera. It was featured in the Karate Kid II movie, another 80’s fave of mine. Not sure if you remember it? Click here to listen, while you keep reading ). Now luckily for me, pulling off my idea was made easy, as the Magical Day stamp set by Stampin’ Up! has a cute little Knight image in it (& a dragon). I was able to stamp him out using Memento Tuxedo Black ink & then colour him in using the new Stampin’ Blends alcohol markers. As you can see from my pics, they even have a couple of skin toned colours that can either be used on their own or blended together to create your own custom colour. To give my Knight somewhere to stand, I die cut a circle using the Stitched Shapes dies & then gently sponged on some Daffodil Delight, Soft Sky & Old Olive ink to create a nice background on which to place him. The custom sentiment was created by using the Labeler Alphabet stamp set & few, long skinny off cuts of Whisper White Cardstock. (Top Tip) Write or type your sentiment out first. That way you can spell check it & then just stamp the letters in the order that they appear & hopefully avoid any mistakes/typo’s. As a finishing touch I added a small enamel heart in Real Red to my Knight’s chest…after all it is a Valentines Day card. I hope you’ve enjoyed my card today & that I’ve left you feeling inspired. 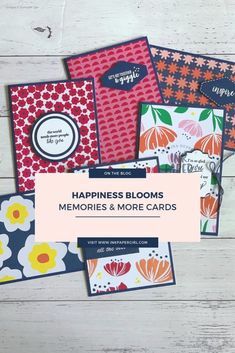 Don’t forget that you are currently visiting the Ink Paper Girl blog with Katrina Duffell. Please make sure you see the list below & hop through all of the talented people who have joined in. You don’t want to miss any! Love it such a cute card, I especially love his little red heart, the perfect finishing touch! Love it! 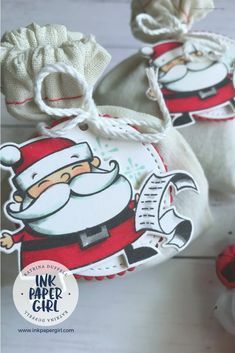 What an awesome use for that stamp set! 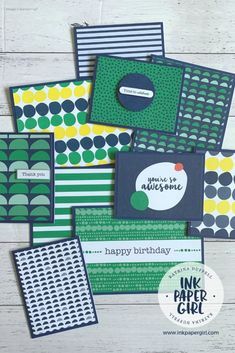 So cute and fun card! This is tooo stinking cute…..love love love it….where’s that list of mine?? Your card is stunning. I love it. This is just so cute and clever Katrina. Genius! Amazingly brilliant! You are tempting me to buy this set and I was so good at resisting.